So happy! 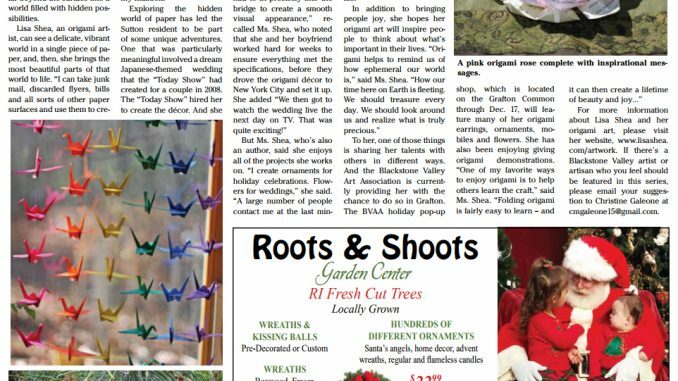 My origami is featured in today’s issue of the Blackstone Valley Xpress! Come see it in person at the Grafton Common Art Gallery. We’re here through December 15, 2017 – and then the space is being taken on by a dance studio!